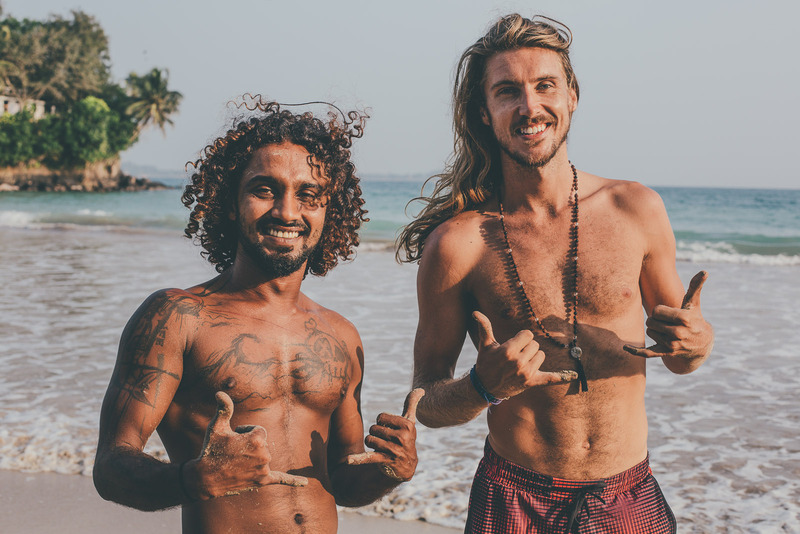 We asked one of our favourite yogis, Nik Robson, who was our first in-house Yoga teacher here at Ceylon Sliders to talk us through the best Yoga poses for surfers. Downward-Facing Dog is a rejuvenating stretch that strengthens the wrists, arms and shoulders. 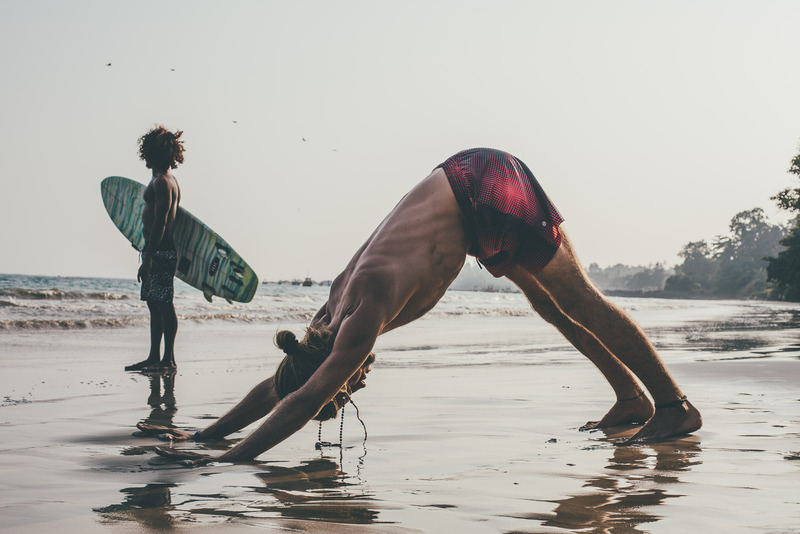 It is one of the most popular and iconic yoga poses that you can do, and a great one for surfers. Firstly, position your hands and feet on the floor, keep the sitting bones pointed towards the ceiling, with your heels on the ground. It looks as if you’re forming an angle by keeping your legs, back and arms straight. Opposite to the Downward-Facing Dog, the Upward-Facing Dog strengthens the arms, wrists and abdomen. It is a brilliant pose for increasing your flexibility of the spine, and a great one to practice pre and post surfs. Get into high plank, then lower yourself into the bottom of a push up. Just before touching the ground, turn your toes over so the tops of them are on the ground. Then bring your chest up towards the sky and you should feel a pull along your spine and into your lower back. Lotus Pose is a relaxed stretch which is a good option when meditating. Sit with your legs crossed, one over the other, with each foot placed on the opposite thigh. It will take a few practices before it feels comfortable, so don’t stress if your legs aren’t aligning at first. Once mastered though, it is amazing for calming the mind, as well as stretching your knees and ankles from so many pop ups. 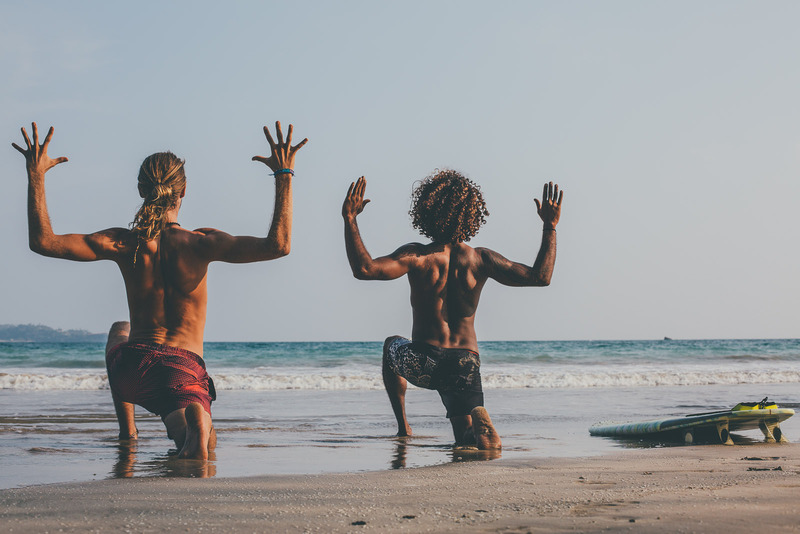 Warrior II Pose increases concentration and stamina, which is brilliant for catching as many waves as you can in the water. This pose stretches the hip, groin, and shoulders, relieving backaches, and helps to improve circulation and respiration problems. Stand with your feet over hip width apart, with one knee bent forward and the other stretched straight at the back. Stretch out your arms so they are parallel to the floor. You can then raise your arms at the elbows for a deeper stretch. This is a beneficial way to open up the hip joints, stretch the groin area and release any tension from the neck and shoulders which has built up from continuous paddling. You should feel a deep stretch along the top side of your body and right through to your raised arm. The Seated Forward Bend completely stretches out the full length of the back, right from the bottom of the head to the heels of your feet. Start by sitting with your legs straight ahead of you and lean gently lean forward, reaching for the feet. It may take a few practices to reach your feet, but the more you do, the easier it becomes. Bharadvaja’s Twist is a calming pose which releases tension and helps the nervous system after a long day of surfing. Bend the knees to one side, twist the torso in the opposite direction and breathe deeply. Its an easy position for the abdominal muscles and gentle soothes the spine. Again, this is a great pose which releases stress and tension from the back and makes the spine feel flexible after hours of surfing. Start by lying on the floor with your belly and face supported by your forearms bent at the elbows. Press the palms of your hands strong against the floor raise your chin, drawing your shoulders backwards. Keep your knee caps pulled up whilst squeezing your thighs and buttocks.